Thank you Gavin Campbell of KahBOOMAirsoft and Craig Davis for my nomination. I nominate Robert Lazouche from the Lazouche Customshop channel, and my friends Jonathan Phippen, and Rebecca Franks. I donated $10 USD. NOTE: I own the commercial and non commercial use rights to the music used in this video. Music by Johobo2 on Newgrounds. Today we have the performance test video for the KJW CZ P09 Gas BlowBack Pistol, licensed by ASG. In this video, we chrono the gun as well as take some shots at a few targets to check out its accuracy. I know that we are always telling you how great our Combat Holster Belts are…. Now it’s your chance to tell us how great they are. Can they lift a tank? Can they tow a tank? Daniel Defense custom branded T-Shirts and Hats are now available for purchase through Madbull Airsoft! The close-fitting black tee is composed of 100% cotton and comes in medium and large sizes. The hat features a US flag in the rear opening and utilizes velcro strap to ensure perfect fitness on the head. Both T-shirts and Hats have limited quantities so order now before it’s sold out! Get 15% Off all purchases from our online store all labor day weekend! Tactical Kit are now the exclusive UK dealer for PIG tactical nylon. 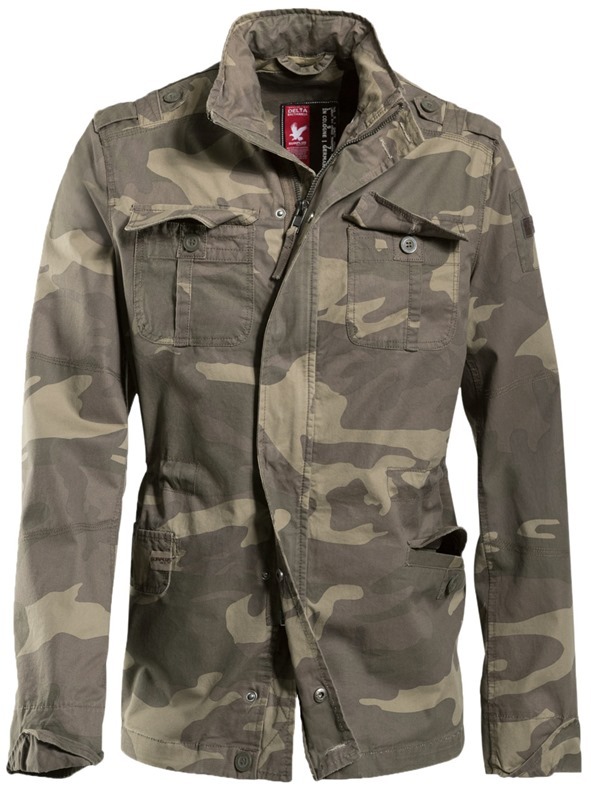 Surplus Delta Britannia in woodland camo – now at Military 1st. 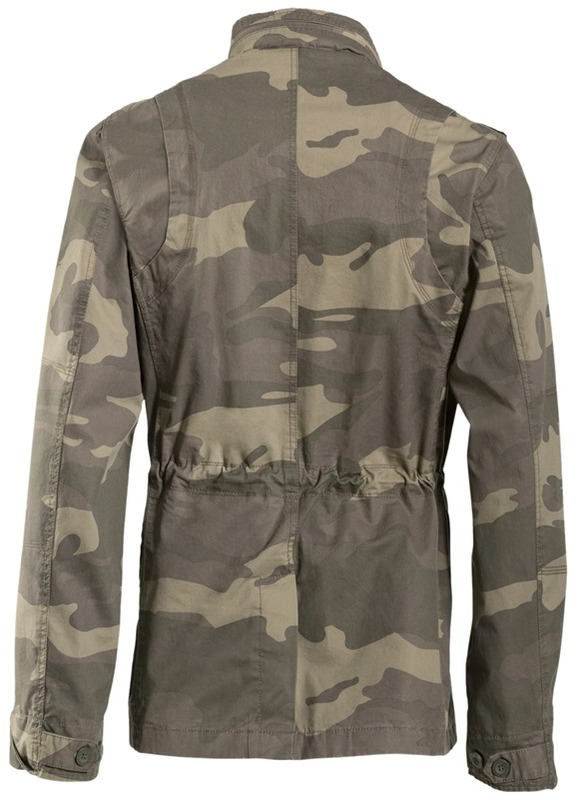 Surplus Delta Britannia is lightweight & comfortable classic style field jacket, made of top quality cotton, with total of 6 pockets, high collar with concealed hood, zip front with storm flap, waist adjuster & shoulder epaulettes. Hextreme FPV Hexacopter – Replacing My Previous Setup. This video goes over the build process for the Hextreme FPV Hexacopter. It’s a great machine and locally made in Nashville Tennessee. I am friends with the owner of the company and he traded me this kit for doing some 3D graphics work on their upcoming design. The new design is going to be really sleek and stealthy looking. 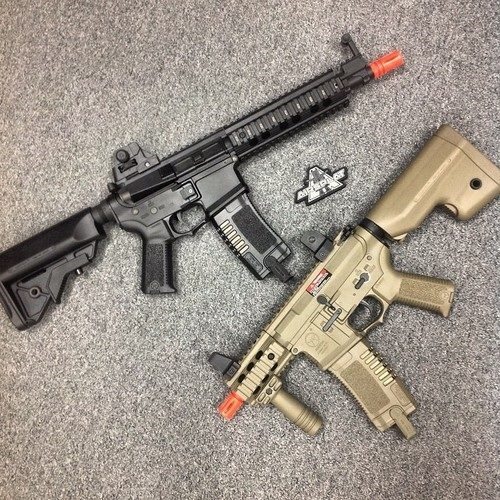 Huge Labor Day Savings at Airsoft Megastore! This is our final look at the E&L AK74MN. We’ve seen the externals, the internals, and now it’s time to see how the gun performs with a range and accuracy test. Camo has offered, once again, to stand in as the target for this test. And a BIG thanks to Jag Precision for allowing us to get a look at the E&L AK! When combining the following promotions you can save MORE than 25% on your order but it’ll only last this weekend only! 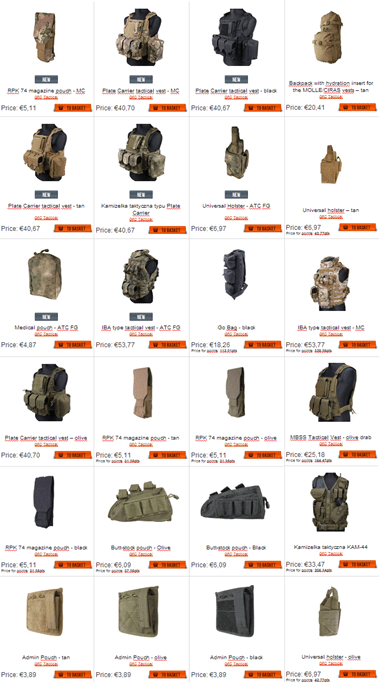 Save on your order, save on shipping at the same time, get the guns and gear you need! All of these promotions stack with our 2% rewards back program! Use the code ‘laborday’ to get 20% off this Labor Day Weekend! 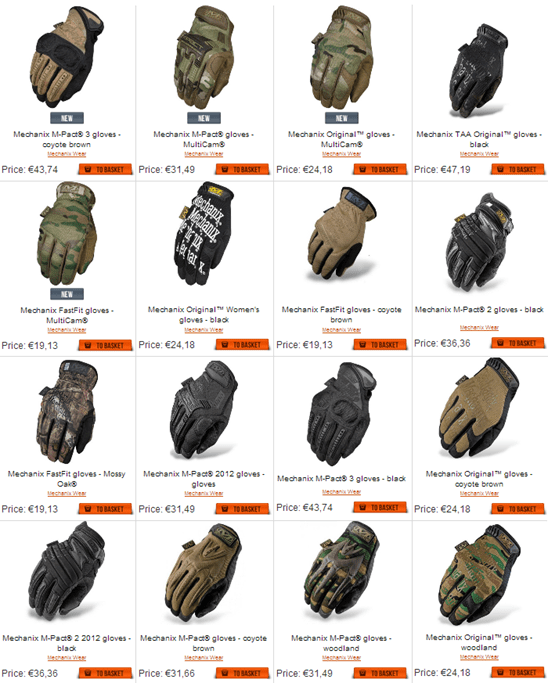 Valid on airsoftgi.com (West Coast) and gitactical.com (East Coast). $8.95 Flat Rate Shipping for Continental US and $11.95 for AK, HI, and Canada. This CAN be used WITH the ‘laborday’ 20% off code to save on your order and shipping at the same time! If you are local to the Socal or Richmond, VA area, the retail stores will be having 21% off this Friday and Saturday along with discounted brands previously mentioned above! 60+ shot per charge. Fast slide cycling. For more info please contact MONDA International. Reviews coming soon! 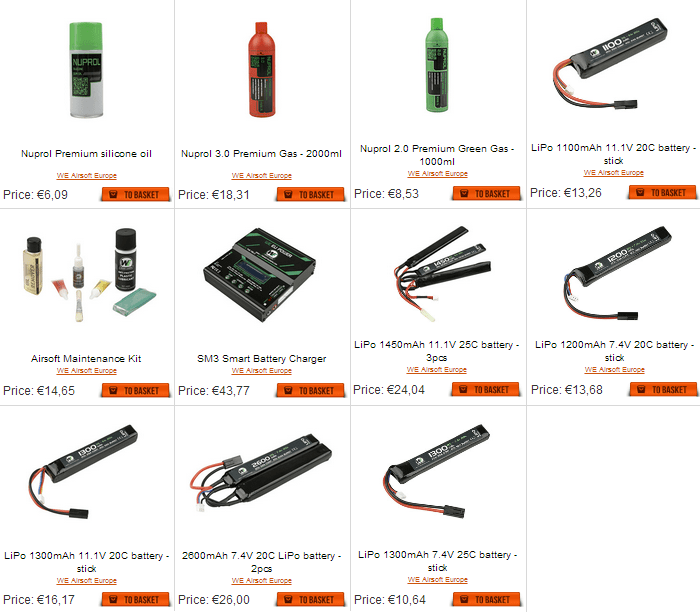 Check out the products here! Need a good sidearm? Look no further! Bob goes over the Elite Force line of pistols which include a hard kicking tactical 1911, CO2 powered M84, and snappy M92. 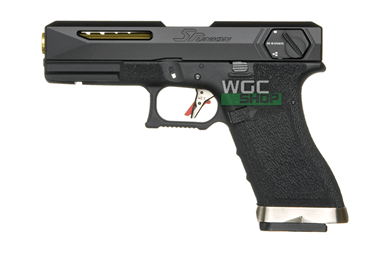 These pistols are powered by either green gas or CO2 which gives you options along with vary in price from $74.99 to $119.99 making them great for every budget. The G&G GR4 G26 Blow Back AEG is THE most comfortable CQB M4 on the market! The ergonomics of this AEG are specifically designed to provide maximum comfort and ease of use and gives this CQB AEG a unique/ modern look. This Incredible AEG also features an integrated Flip-Up LED Light and a bright Laser which are integrated into the front of the rifle! No other stock AEG on the market has as many features as the G&G GR4 G26! The NEW GR4 G26 uses G&G’s patented pneumatic Blow Back system which cycles the mock bolt back and forth, creating an awesome firing sound and look. Ex British Army infantryman Glen takes up the ALS Ice Bucket Challenge. We got him fairly well with no small amount of chilly h2o, but he was a good sport bless him. Last hours to win Specna Arms SA-A03 replica! 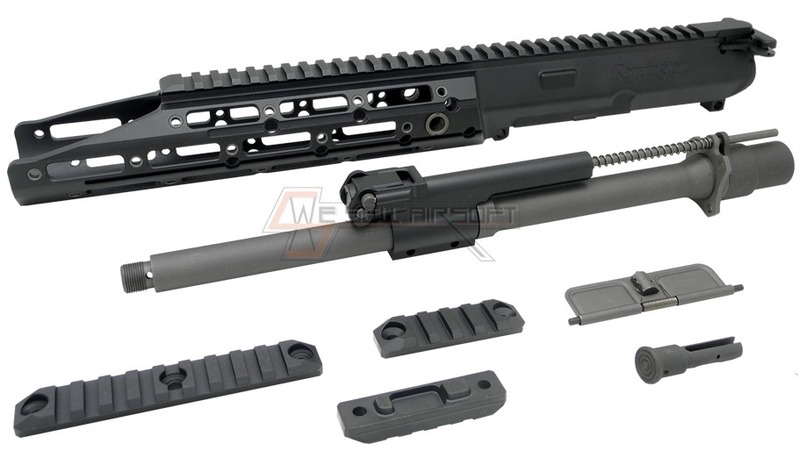 – Aluminum Upper Receiver & R.I.S. Saturday, September 27 is AirSplat’s Anniversary Birthday Bash! We will be celebrating AirSplat’s 15 years in business, 2 year store anniversary for Seattle, and 1 year store anniversary for Los Angeles! There will be over $5,000+ in raffles, games, pinatas, a clown (AirSplat Thor), water balloons, and of course a huge birthday cake for all of our fans! More information to come! 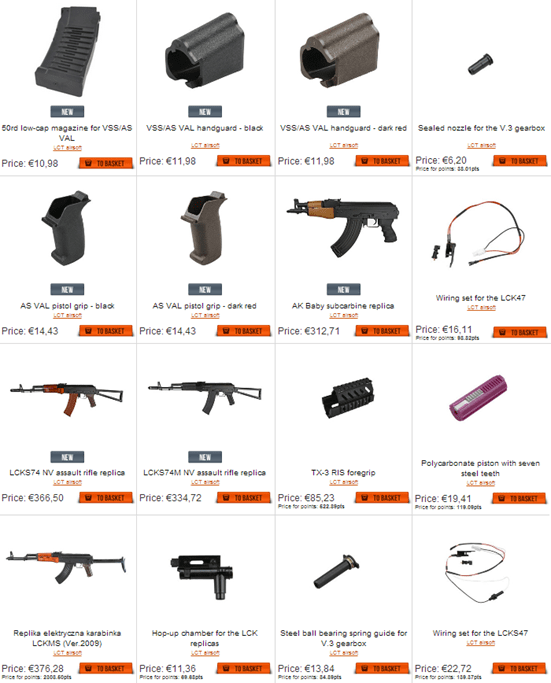 NEW AS Tactical Parts & Upgrades available at AirSplat! What parts do you need for your gun? Use the coupon code ‘laborday’ to save up to 20% on your order of qualifying items. Use the coupon code in conjunction with the flat rate shipping to save even more! 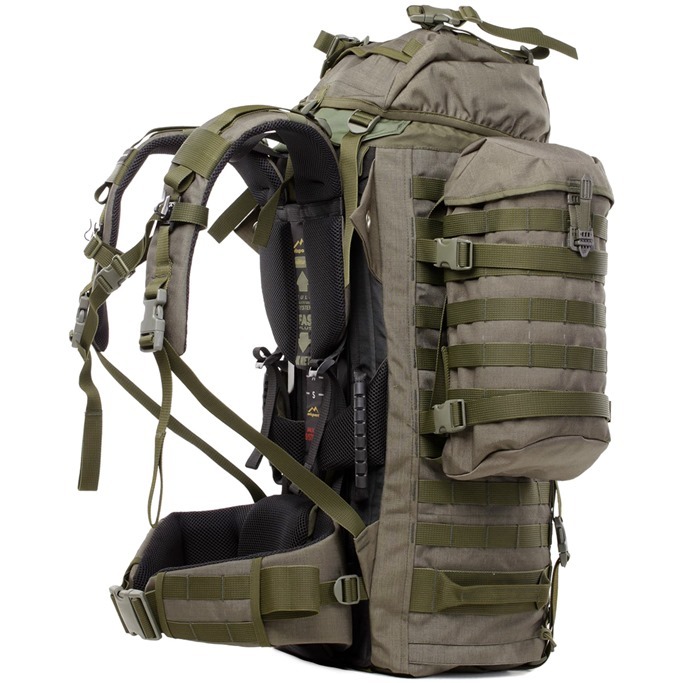 Wisport Wildcat Rucksack is a new addition to Military 1st range of top quality bags & backpacks. 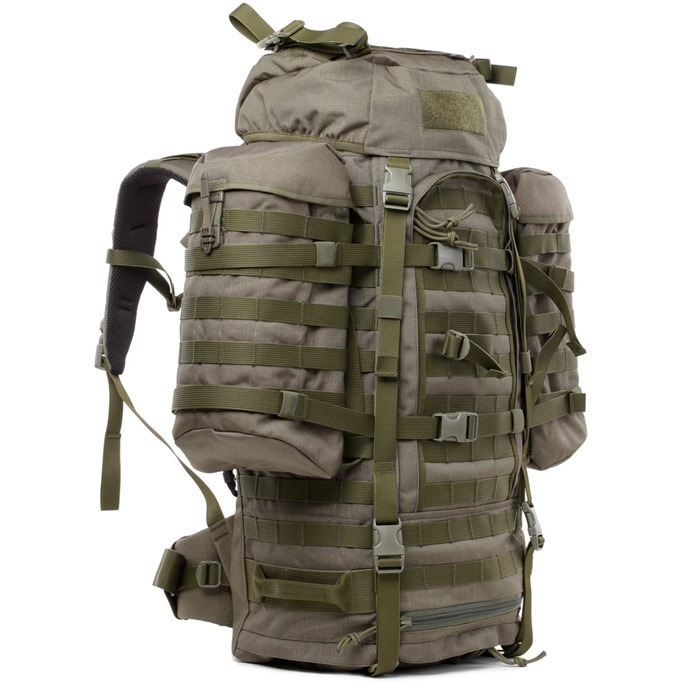 Wisport Wildcat Rucksack is functional & durable survival backpack, made of extremely strong Cordura material. With overall capacity of approx. 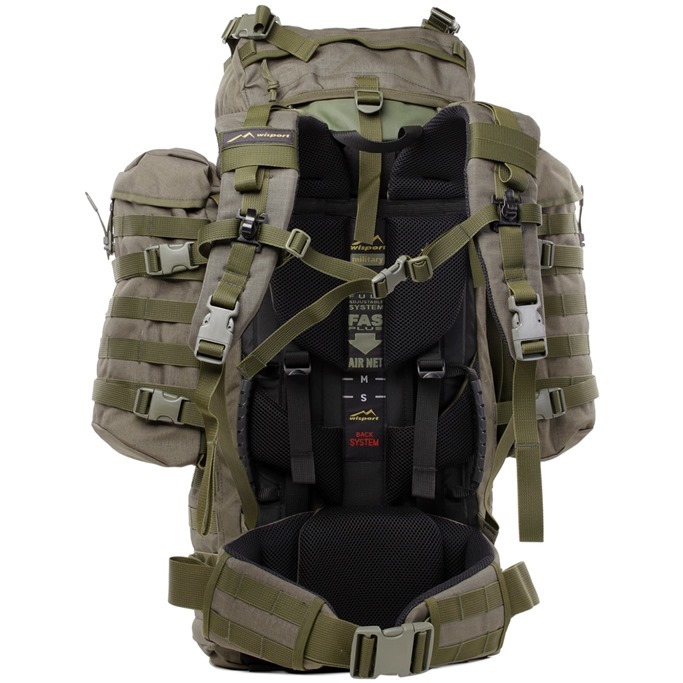 80L, main compartment with 2 separate chambers, 2 detachable side pouches & multiple MOLLE straps it offers plenty of storage space, while ergonomic shoulder straps, removable waist belt & padded back, as well as FAS Plus Military suspension system ensure easy & comfortable carry. Wisport Wildcat Rucksack features reinforced stitching, YKK zippers & Duraflex accessories throughout, is CAMELBAK compatible & complete with rain cover & flexible helmet mount mesh. Hi all and welcome to the Aug – Sept 2014 GUNMAN INNOVATIONS newsletter for East Anglia and Hampshire. We are so busy its mad, but key one is another awesome offer for the retuned MILSIM games at Norwich. First weekend of every month, we will be running 2 day open weekend Milsim scenarios. They are £25 for a day or £45 for the weekend. If you pre book and pay via PayPal (sales@gunmanairsoft.co.uk) its only £20 for the day or £30 for the weekend. BARGIN!!! Please start on the pre-book, which side your booking on too. Hours are 8.30am – 4.00pm each day. This is NOT a run of the mill open skirmish, theres plenty of that already going on in Norwich, but a very high end Milsim experience. For reports from the EPIC and AWESOME GI weekender, see here. GI Airsoft is growing and we need new sites. We are offering a £1000 reward for finding us a site that gets turned into a new GI venue. We need to know the size of the site, what features it has and location. A telephone number will also be really helpful. SRU had just release a custom made SR-18. 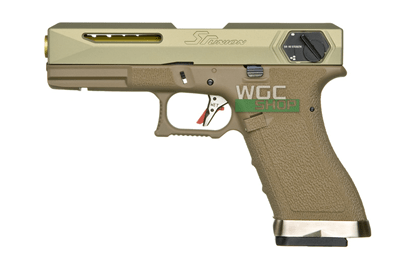 The guns come with the fancy SRU slide for G18C and a gold color outer barrel. The guns also come with the modified trigger, a low profile magwell and even the textured tactical grip for better handling! They also change the loading nozzle to reinforced version. Make it to be prefect when it out of the box! Oh one more thing, It comes with the hard case . Equipped with Textured Tactical Grip / Straight Trigger / Low Profile Magwell and gold color outer barrel. Feeling difficult on modify your MP7 to increase the performance. Now Azimuth provides the easiest solution. They just release the high performance magazine valve. It changes the gas flow area from original 2.6mm to 2.3mm. Make it have the better performance for the gun and increase 15-20 fps each shot. This valve also fit for the marui gas pistol and stark arms! 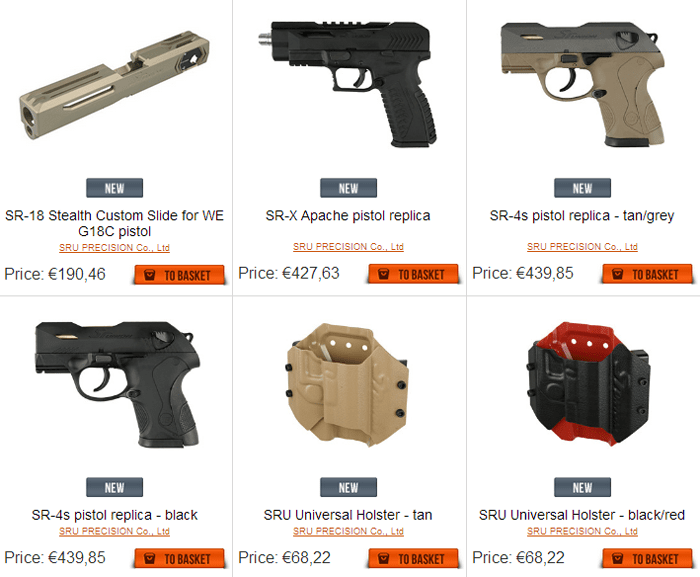 Difficult to find a holster that fit your SRU pistol? 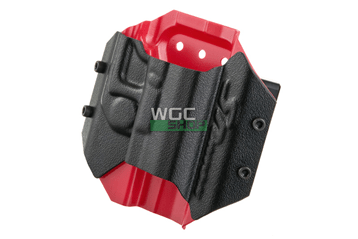 Now SRU release the holster for your pleasure pistol .The Case are thermo formed to fit with the gun, It also having the aluminum belt loop that fit for up to 1.75inch wide. The holster having mounting holes that compatible with G-Code and Blackhawk SERPA accessories. 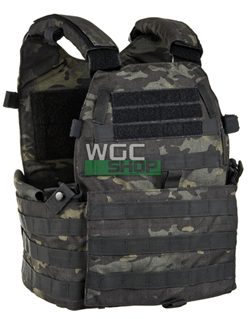 Make it easy to attach on a molle vest or other holster platform. – Thermo formed pistol holster with trigger guard retention. – Machined aluminum belt loop accepts belt up to 1.75 inch wide. 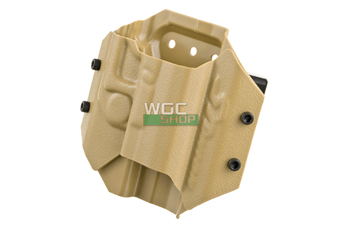 – Built in mounting holes accepts Blackhawk SERPA / G-Code holster platforms. MAP DROP for this Labor Day weekend at Airsoft GI!